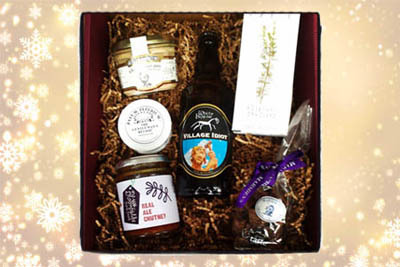 Competition - Win A Christmas Hamper! Congratulations to Jenny Field from Bishop Fleming, who correctly answered that Gloucestershire is the English county where you would find Stow-on-the-World. Jenny wins a fabulous £50 Gift Voucher from our friends at Scotts of Stow to spend on Christmas presents or even on herself...! "Which two of Santa's reindeers were named after Thunder and Lighting?" Email your answer and contact details to jackie@jackiekerrrecruitment.com and the lucky winner will be drawn from the correct answers on Thursday 22nd December 2016 - so we can ship your hamper in time for Christmas!